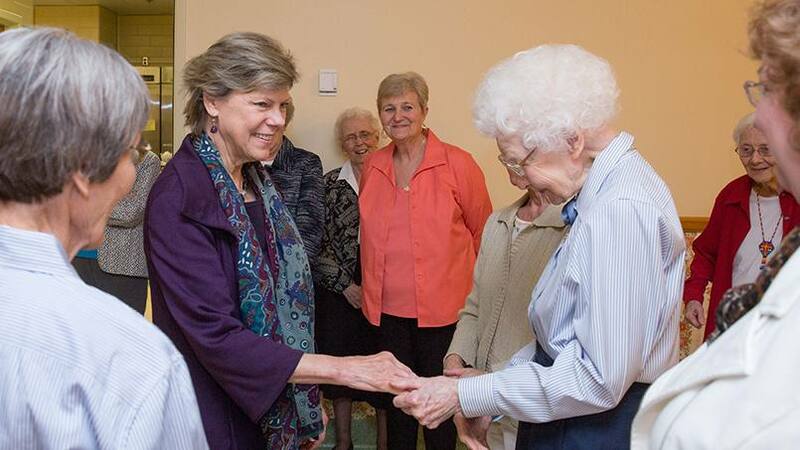 When longtime journalist and new Mayo trustee Cokie Roberts learned of the significant role the Sisters of Saint Francis had in shaping Mayo Clinic, she was eager to hear more. Throughout her four decades in broadcasting, Cokie Roberts has had conversations with many interesting people. Among her favorites? Women who devote their lives in service to the church. "They are some of the smartest people I've ever met," Roberts says. "They're also the most radical people in society. They are the people who really do the Lord's work. They're out working with the people on the margins and living very simply. I'm a huge, huge admirer." She's also a huge admirer of women's history, having authored numerous books on women's contributions that have shaped America. So when Roberts, who joined the Mayo Clinic Board of Trustees in 2016, learned of the significant role the Sisters of Saint Francis have played in the development and growth of Mayo Clinic, she was eager to know more. And what better way for a journalist to get a story than to go directly to the source? Which is why Roberts asked to meet with some of the Sisters of Saint Francis during a recent trip to Rochester. Brownies, lemonade, coffee and conversation were arranged. "I told stories, they told stories, and it was wonderful," Roberts tells us of the meeting, which she says provided her with a deeper understanding of how Franciscan values are infused into the culture of Mayo Clinic. She learned about the Poverello Foundation, established by the late Sister Generose Gervais, which provides more than $1 million each year to help families pay medical expenses. And about the Franciscan Leadership Pilgrimage, which sends Mayo staff to Assisi and Rome, Italy, to learn about Franciscan tradition and spirituality. "I think it's a wonderful idea," Roberts says of the pilgrimage. "It is incredibly important for people who are going to be in a leadership position in this terribly significant institution to understand the roots of the women who founded the hospital." Roberts says she was also happy to discover that the Mayo brothers themselves were early supporters of Mother Alfred Moes, who established Mayo Clinic Hospital's Saint Marys Campus. "From the very beginning these men understood the value and the importance of accomplished women, and gave them a lot of power and authority. It really does speak very well of them," she says. "The more you learn" about Mayo's history, she adds, "the more impressed you are, the more exciting it is, and the more it explains the culture." And it's a culture, Roberts says, that continues to be brought to life through the Sisters of Saint Francis. 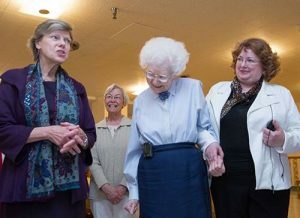 By "magnifying the message of God through their lives and in the lives of the people they serve," the sisters demonstrate that "the values of Mayo, of putting the patient first are not just lip service," she says. The values "are based in a fundamental view that every human being is made in the image and likeness of God. And once you start with that perspective it's clear what you do next." Roberts, a lifelong Catholic whose mother, Lindy Boggs, served as ambassador to the Vatican, tells us meeting with the sisters and learning about Mayo's Franciscan heritage has made her "so much prouder," to be a Mayo Clinic trustee. "I was already proud," she says, "but this adds a dimension to my tremendous appreciation for this place." Leave a comment below to show your appreciation and add a dimension to the discussion. Then use the social media tools to share this story with others.